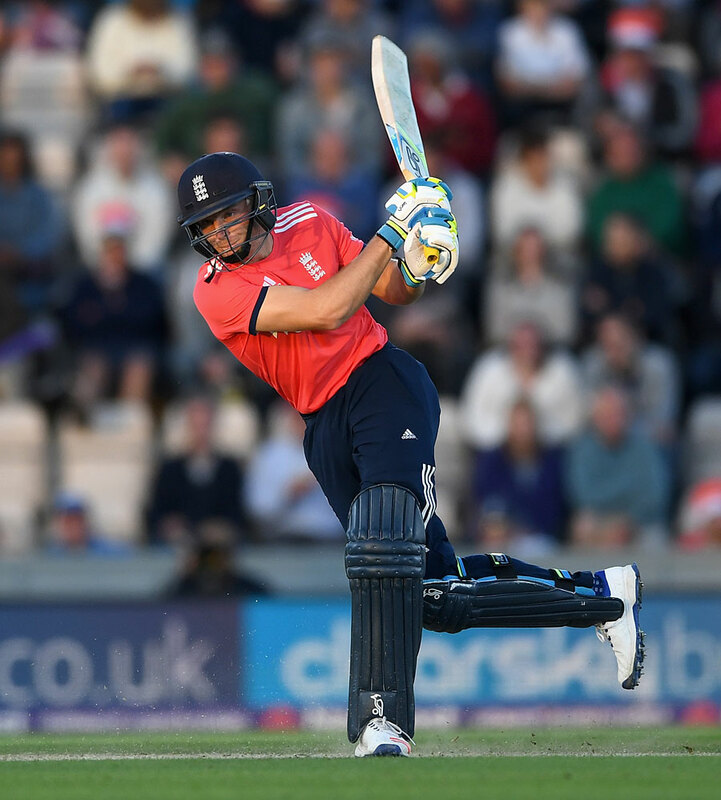 Jos Buttler enjoyed his role at the top of the order. Gunathilaka and Kusal Mendia once again repaired the innings for their team. Sri Lanka was 51-1 at the end of the powerplay. But their woes continued in the next over. Gunathilaka was dismissed on 26 by Lawson in his first over itself. Angelo Mathews promoted himself ahead of Dinesh Chandimal. The wait for Chandimal in the dressing room was not too long as Mendis handed Dawson a return catch in his next over. At 79-3 in 10 overs and with well-grounded batsmen in Mathews and Chandimal at the crease, Sri Lanka still had a lot of batting with them. But you never know what is in store for you in cricket or in life. Sri Lanka had lost half their side by the end of the next over. Dawson picked up his third wicket when Mathews missed a slog-sweep off him. The next ball found Dasun Shanaka short of his crease leading to his demise. In the following over, Adil Rashid bowled a maiden to Ramith Rambukwella which did not help the visitors with their momentum. Rambukwella then smashed Rashid for a six and a four in his next over but was run out in the following over bowled by Mills. Seekuge Prasanna was expected to launch some big ones but he too perished quickly leaving Sri Lanka 122-7 in 16 overs. Sri Lanka lost their last hope when Chandimal hit a Jordan delivery straight to Morgan at cover. The team finally got bundled out on the last ball of their innings for 140. Gunathilaka (26) being the top-scorer. 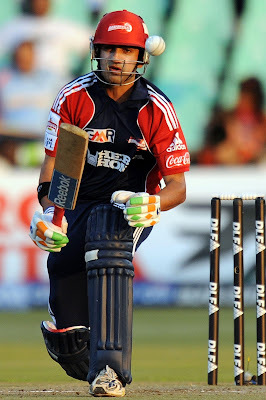 Apart from Dawson, Jordan also picked three wickets. In the absence of Alex Hales and Moeen Ali, England promoted Jos Buttler at the top of the order. In what appeared to be an easy chase, Jason Roy lost his wicket for a duck in the first over to Mathews. His replacement, James Vince, also made the long walk back to the pavilion in the fifth over. By the end of the powerplay, England was 41-2 with Buttler and Morgan at the crease. Eoin Morgan hit some form with a not out inning. 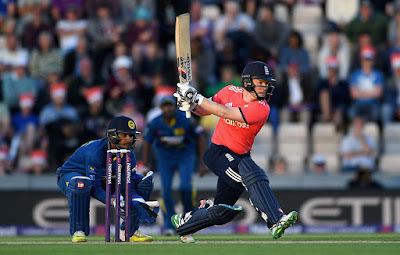 Buttler had already displayed his attacking instincts. Mathews spilled Morgan's switch-hit at backward point in the ninth over. The duo completed the 50-run partnership in the 12th over. With 54 runs required in 8 overs, Sri Lanka had all but lost the match. Mathews rotated all his bowlers but to no effect. 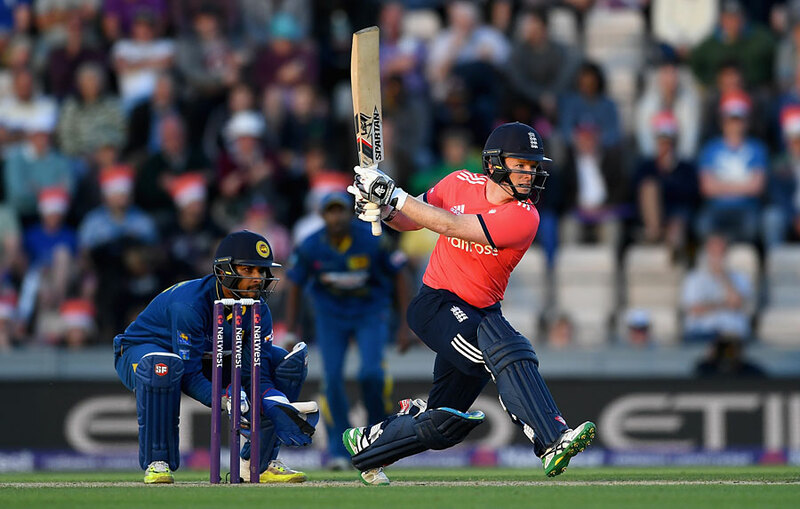 Buttler's dominance and Morgan's maturity saw England winning the match in the 18th over. Both the batsmen finished on 73* and 47* respectively. Jos Buttler was deservedly declared the Man of the Match. The Super series score for England was 20-4.